When the National Entertainment Collectibles Association (NECA) showed off the Halo Spartan Armor motorcycle helmet back I absolutely geeked out. Well now we have a an official release date of July and I cannot wait. 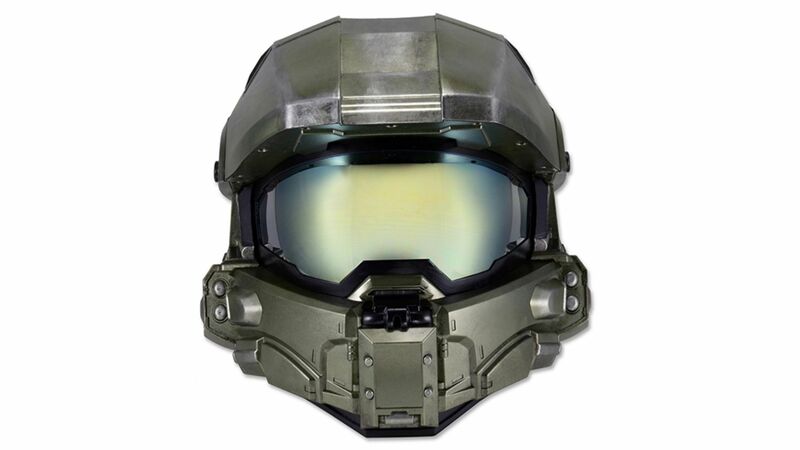 The helmet is full street-legal and DOT-approved so you can cruise around this summer pretending your on a Warthog looking like Halo’s iconic Master Chief. NECA has said the helmet will feature front-air intakes to reduce fogging on the visor, and rear vents as well as a contoured design to help keep your head cool as let’s face it I’ll be taking the long way home. NECA also says the helmet will feature a glove friendly visor flip switch and enough room inside for those who want to wear sunglasses as well. There’s no pricing or ordering info yet but it will arrive in four different sizes from small (55 to 56 cm) to extra large (61 to 62 cm). So all that’s left to do is wait it out and hope the pre-order shows up soon as I can’t wait to get my hands on this.